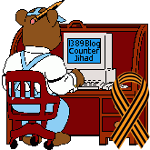 The modern liberal world view makes monkeys out of us all — 1389 Blog - Counterjihad! Police say this man is their “person of interest” in the feces attack. Anyone with information should call the Oak Park Police Department’s crime tip hotline at 708-434-1636. A woman riding the Chicago Transit Authority’s Blue Line in Oak Park told police she was last week attacked by another passenger wielding a sock filled with human feces. The college student, who came to Oak Park six weeks ago to live with a family and provide in-home child care, said she was riding an east-bound train from Oak Park to Chicago when she was attacked. Oak Park Police Commander Ladon Reynolds said officers responded by searching for the man in and around a gas station at Harrison Street, but did not find him. Reynolds said police retrieved a photo of a “person of interest” matching the description the woman and other witnesses gave. That man was videotaped on the Austin platform. CTA spokesman Catherine Hosinski said the transit agency has “several high definition video cameras” at each station. 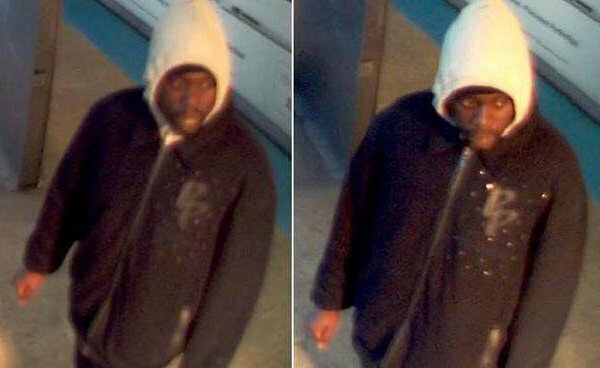 The woman, who said she has a copy of a photo of her assailant taken by a CTA security camera, described her assailant as a black man no older than mid-20s, average build, with facial hair above the mouth and on the chin. She said he wore a hooded sweatshirt and ball cap that partly obscured his face. She expressed utter disgust and outrage. “It was like the biggest degradation I’ve ever [experienced]. I wish he had just hit me,” she said, because she thinks that would have been less traumatic. “The worst part is nobody had anything to wipe my face with,” she said. She managed to find some newspapers before paramedics arrived. The paramedics gave her towels and water. “They really aren’t prepared for a situation like that,” she said. The woman said she and her assailant never exchanged a word, and she can’t understand his reason for the assault. She said she still rides the CTA, but is more attentive now. And then I thought of this article by Daniel Greenfield, a/k/a Sultan Knish. That is how the left approached this election. Instead of appealing to individual interests, they went after identity groups. They targeted low information voters and used behavioral science to find ways to manipulate people. The right treated voters like human beings. The left treated them like lab monkeys. And the lab monkey approach is triumphantly toted by progressives as proof that the left is more intelligent than the right. And what better proof of intelligence can there be than treating half the country like buttons of unthinking responses that you can push to get them to do what you want. Would you let a lab monkey own a gun? Hell no. Would you let it choose what to eat? Only as an experiment. Would you let it vote for laws in a referendum? Not unless it’s trained to push the right button. Would you let it drive a car? Nope. Maybe a bicycle. And if it has to travel a long way, you’ll encourage it to use mass transit. Does a monkey have freedom of speech? Only until it annoys you. You’ll take away most of the monkey’s bananas, which you’re too lazy to go and find for yourself because you have more important things to do than fetch bananas. You train monkeys to fetch bananas for you. That is how the enlightened elites of the left see the workers whose taxes they harvest; as monkeys that they taught in their schools and created jobs for with their stimulus plans for. And the least that the monkeys could do is pay their taxes, because the monkeys didn’t build that. You did. You do plan to take care of monkey’s medical expenses, at least until they get too high, and spay and neuter it with free birth control. You will train it to be the smartest and most well-behaved monkey it can be. And when it gets too sick, you plan to have it mercifully put down so it doesn’t hang around spreading diseases and depressing you with its misery. And what’s wrong with any of that? Human beings are just evolved monkeys. It’s not as if you’re being cruel to the monkey. You’re engaged in what you might charitably think of as a symbiotic relationship with the monkey. If the monkey were smart, it might think of you as a parasite. But you have a whole lot of rounds of ammunition stockpiled in case of a Planet of the Apes scenario. The Nazis believed that they were the master race because they were genetically superior. Liberals believe that they are the master race on account of their superior empathy and intelligence. There’s an obvious paradox in believing that you have the right to enslave and kill people because you care more, but that didn’t stop millions of people from joining in with revolutions that led to a century of bloodshed in the name of movements that cared more. The defining American code is freedom. The defining liberal code is compassion. Conservatives have attempted to counter that by defining freedom as compassionate, as George W. Bush did. Liberals counter by attempting to define compassion as liberating, the way that FDR did by classing freedoms with entitlements in his Four Freedoms. On one side stands the individual with his rights and responsibilities. On the other side is the remorseless state machinery of supreme compassion. And there is no bridging this gap. Liberal compassion is not the compassion of equals. It is a revolutionary pity that uses empathy only as fuel for outrage. It is the sort of compassion practiced by people who like to be angry and who like to pretend that their anger makes them better people. It is the sort of compassion that eats like poison into the bones of a man or a society, even while swelling their egos with their own wonderfulness. Compassion of this sort is outrage fuel. It is hatred toward people masquerading as love. And that hatred is a desire for power masquerading as outrage which in turn is dressed up as a deep love for others and empathy for all living creatures. Peel away the mask of compassion and all that is underneath is a terrible lust for power. And the only way to truly justify the kind of total power summoned by such lusts is by reducing the people you would rule over to the status of non-persons. To understand the left’s position on nearly any issue, imagine a 20th Century American and then take away accountability. Assume that the individual is helpless and stupid, has little to no control over his own behavior and is only responding to stimuli and functions in a purely reactive capacity. Then use that data to come up with a response to anything from kids getting fat to a football player shooting his wife to terrorists firing rockets at Israel. The only possible answer to reactive behavior is to find the thing being reacted to and condemn it. If you want to fake being a member of the left on any topic and in any setting, master this simple phrase. “But we have to look at the root causes to see who is really responsible.” Congratulations, you can now get by anywhere from Caracas to Brussels to Berkeley. The root cause is a perpetual search for an accountability vested in systems rather than people. That search always ends up with systems and ideologies, rather than mere people, because it justifies the destruction of those systems and ideologies. And destroying systems and ideologies allows them to be replaced by their progressive replacements. Freedom goes hand in hand with personal moral organization of the individual by the individual. Organized compassion however requires the moral organization of the society as a whole. A shooting is not a failure of the character of one man alone, or even his family and social circle, it is the total failure of our entire society and perhaps even the world, for not leveraging a sufficient level of moral organization that would have made such a crime impossible. No man is an island. Every man is a traffic jam. Social accountability on this scale requires the nullification of the personhood and accountability of the individual, just as the moral organization that it mandates requires removing the freedom of choice of the individual, to assure a truly moral society. When compassion and morality are collective, then everyone and no one is moral and compassionate at the same time. And that is the society of the welfare state where compassion is administered by a salaried bureaucracy. Choice is what makes us moral creatures and collective compassion leaves us less than human. The collective society of mass movements and mass decisions leaves us little better than lab monkeys trying to compose Shakespeare without understanding language, meaning or ideas, or anything more than the rote feel of our fingers hitting the keyboard. Well here we have a monkey throwing poop, what a surprise. He looks just like the Monkey in the white house! People often vote for those who ratify their weaknesses. So if we here in Detroit have no subway , we’re copacetic, right ? Please, someone, what is the term for “Fear Of Soft, Flexible Footwear” ?? For the record is this claassed as ‘an attack’ and can a determined, forceful response be offered? I have no idea what you’re talking about, unless you’re trying to say that Detroit is worse than Chicago. Worse to live in – you can argue that point either way, but worse in terms of corruption – no. Chicago is the worst city in recorded history in that regard. And hitting somebody with a sock full of poop is not only insulting, but also a means of spreading disease all over the place. It’s subhuman behavior, to say the least. Previous post: JibJab Year in Review 2012: The End is Here!